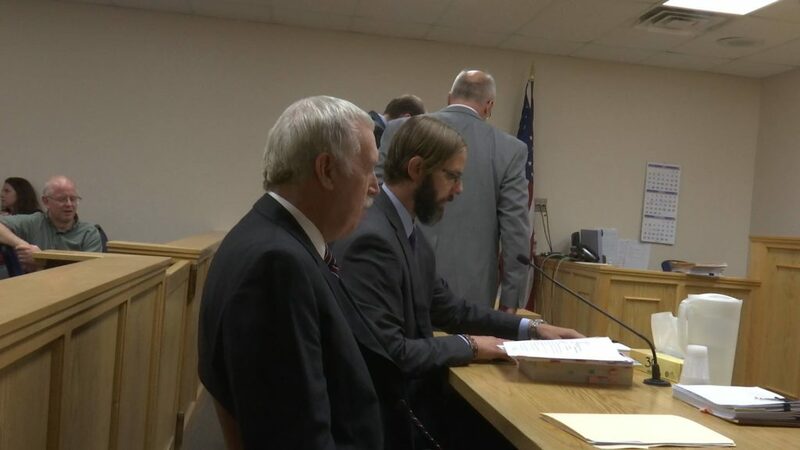 ST. GEORGE – Varlo Davenport is finally getting his day in court nearly 20 months after being fired from Dixie State University in November of 2014 for allegedly assaulting a student during a routine classroom acting exercise. Davenport, a 15-year tenured theater professor, was charged with a single class B misdemeanor assault by the City of St. George even though a faculty review board cleared him and recommended his reinstatement. The Dixie State faculty senate also voted to clear Davenport, but he was fired by DSU President Richard Williams. Davenport’s jury trial started Wednesday morning and is expected to last at least another day. 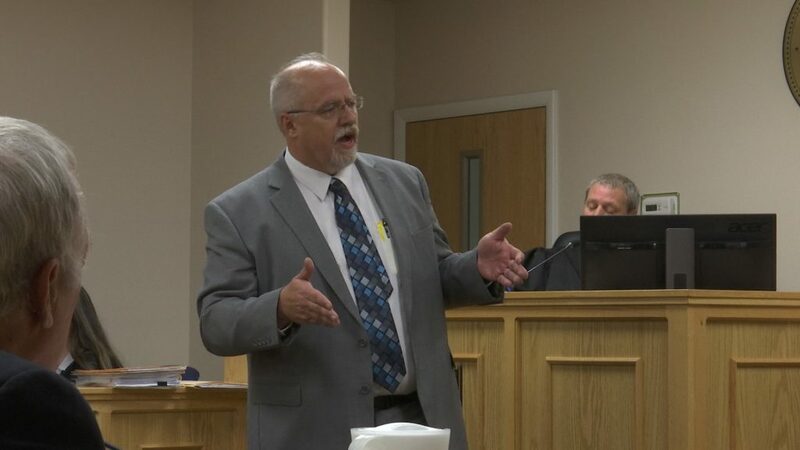 In his opening remarks, St. George City Attorney Robert Cosson said Davenport “took matters into his own hands” after multiple tactics failed to get the desired response out of the alleged victim, Cassidy Sorensen. Cosson alleges that Davenport pushed Sorensen into a chair and pulled sharply on her hair, pulling her head back so far that the girl was looking at the ceiling. The incident made Sorensen cry, Cosson said. But what really happened, Davenport’s attorney Aaron Prisbrey said, was a series of exercises called physical resistance techniques that are used routinely in acting and theater classes, not just at DSU but at universities all across the United States. The most difficult part of teaching theater is getting actors to break down walls and access their own emotions in order to use them to portray a character, Prisbrey said. Elizabeth Peterson was a student in Davenport’s class that day and gave a lengthy and detailed account of what happened in the class. She testified the professor never pulled Sorensen’s head back by the hair, although he did try several techniques aimed at evoking annoyance to help her with an acting scene. Davenport spent almost the entire class period working with Sorensen and her acting partner on an assigned acting exercise, Peterson said. 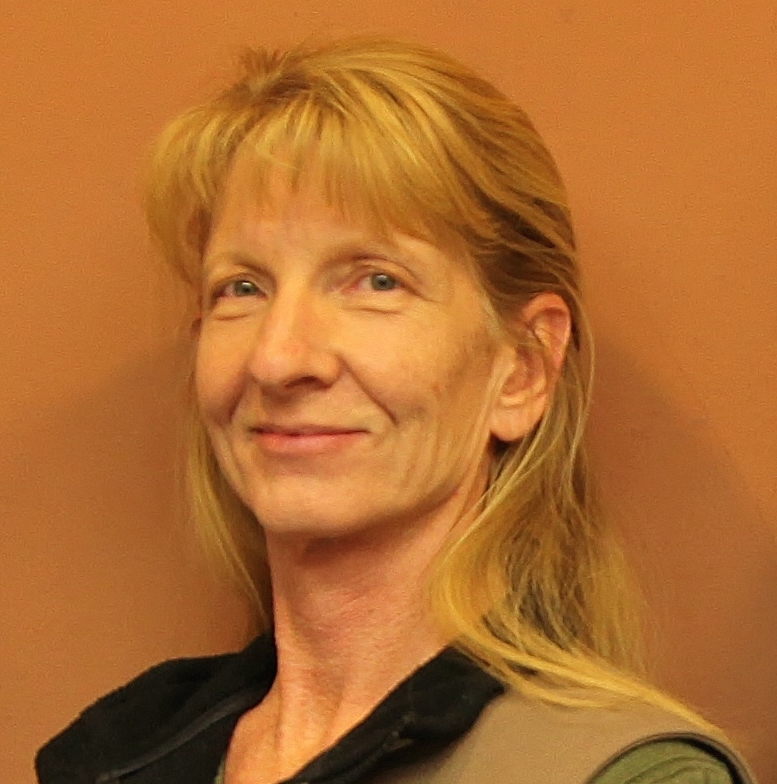 Because Sorensen had missed so many classes, she and her partner were behind on the assignment, which would be a big part of the students’ grades. Davenport repeatedly tried to help Sorensen tap into her own emotions during the acting exercise, Peterson said. Physical exercises were common in Davenport’s class, Peterson said, and included many variations. When needed to encourage emotion, other students from the class would make noise, or stand near students who were performing a scene and perform different actions to help the actors tap into their emotions. “So you can take something that has nothing to do with the scene and put it – get the emotion that you want into the scene,” Peterson said. Sometimes when verbally sparring, two students in a scene would jab each other with rolled up yoga mats for added physical emphasis. Other times, a student would hold another student by the shoulders and restrain them, and then the acting student would “break free” and deliver their line – with more emphasis and animation. Peterson said such physical exercises happened at least weekly. On the day that the alleged assault took place, many mild physical techniques were used to try to provoke annoyance in Sorensen to help her infuse emotion into her performance. However, none of the techniques worked and Sorensen repeatedly told Davenport, “I’m not annoyed,” Peterson said. Sorensen, who was 17 years old at the time, took Davenport’s entry level acting class in the fall of 2014. 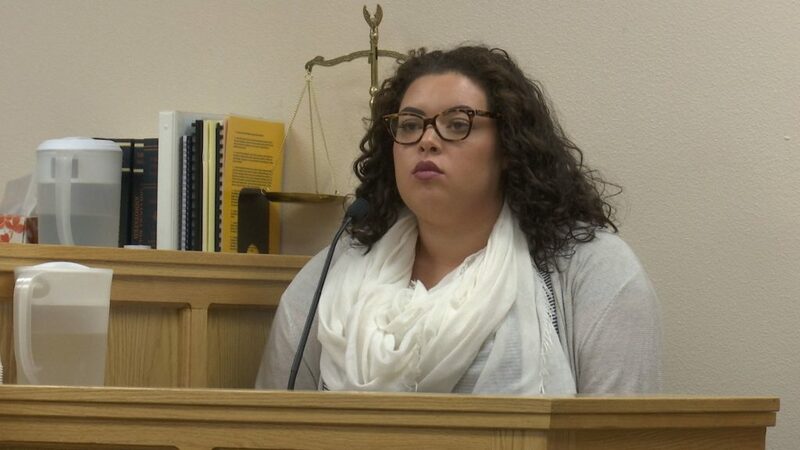 She testified that in class November 21, Davenport pulled her hair and hurt her neck, although Prisbrey pointed out that it was the first time Sorensen had mentioned her neck. Sorensen also said she had a scalp condition at the time of the incident that caused scabs and soreness. In contrast with Peterson’s detailed testimony, Sorensen replied “I don’t remember” many times in response to questions. During testimony, Sorensen said a civil lawsuit had been filed against the university; but could not recall the name of the attorney she hired for the case. Prisbrey has postulated that Davenport was fired and charged to help the university avoid a civil lawsuit. 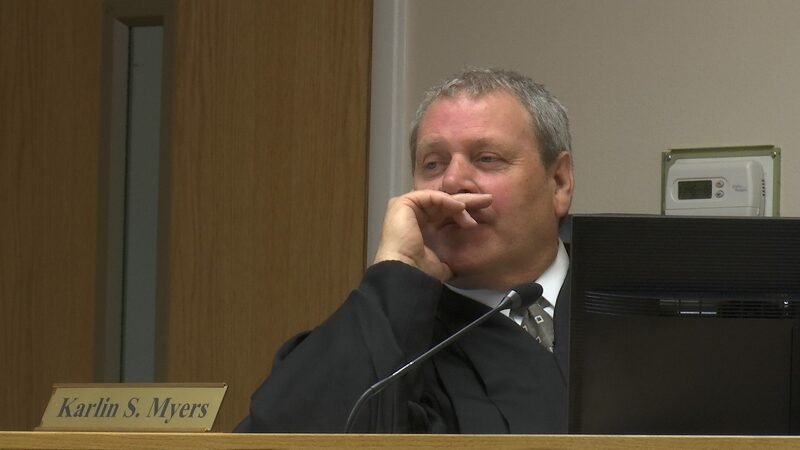 Although the representatives of the Utah Attorney General’s Office participated in several hearings in the case, sitting next to Cosson at the prosecution table, no one from the office participated in the jury trial. The Attorney General’s Office was involved in earlier hearings representing Dixie State University’s interests in records that were subpoenaed by Prisbrey, public information officer Dan Burton said Thursday, but was not involved in the prosecution. Attorney David Jones sat in the gallery at the trial as a potential witness, Burton said. Assistant Attorney General Michael Carter missed a hearing May 23; that hearing was continued because of Carter’s absence. At another hearing June 10, Jones told the judge he would be replacing Carter for all appearances. The case has been plagued by numerous delays including the recusal of Judge Ronald Read. Read stepped down in April after Prisbrey alleged ex parte contact had occurred between Read and Carter. 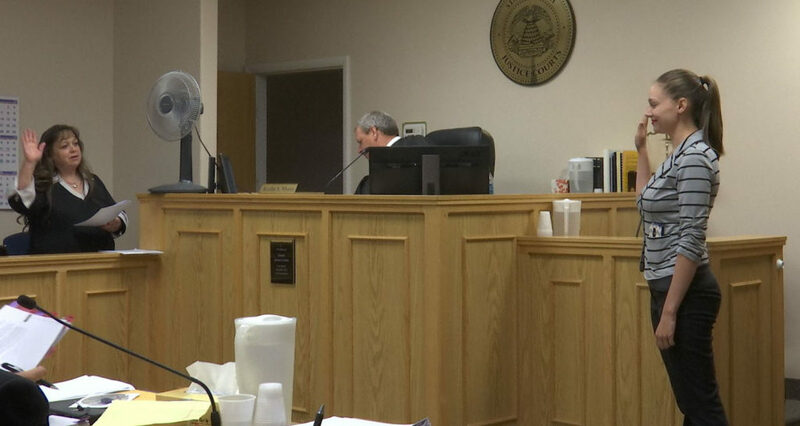 The courtroom at the Washington County Justice Court was crowded Wednesday. Due to media coverage of the case, Myers requested in June that 45 jurors be summoned for potential jury duty rather than the usual 25-27 in order to avoid any potential delays during jury selection. After spending all morning in jury selection, four jurors and one alternate were impaneled by about 11:20 a.m. All five jurors are men. The alternate juror was included to prevent any further delays in the case which is going on two years, Myers said. Less than half of the potential jurors were questioned before the defense and the prosecution agreed on the makeup of the jury. A jury of four is specified in Utah Code 78B-1-104 Jury composition in cases which carry a potential penalty of incarceration of six months or less. Potential jurors were questioned about their employment, marital status, spouse’s employment, TV preferences and hobbies. They were asked if they’d ever been a teacher or a coach, if they were familiar with the “pedagogy of theater,” and whether they were closely related to or friends with anyone involved in the trial. After a lengthy discussion about using consent as a defense at Monday’s hearing, Myers took the matter under advisement. In a decision issued Tuesday, Myers ordered that Davenport may use consent as a defense. “If the court allows a defense to argue consent in this case, it’s essentially allowing the defendant to argue jury nullification: ‘Ignore the elements (of an alleged crime) – even if all the elements are met – ignore those and find the defendant not guilty,'” Cosson said during Monday’s hearing. In his order, Myers said the defendant must prove by a preponderance of evidence that the alleged victim consented to the action which prompted the assault charge. “Bodily injury” means physical pain, illness or any impairment of physical conditions. “Act” means a voluntary bodily movement and includes speech. 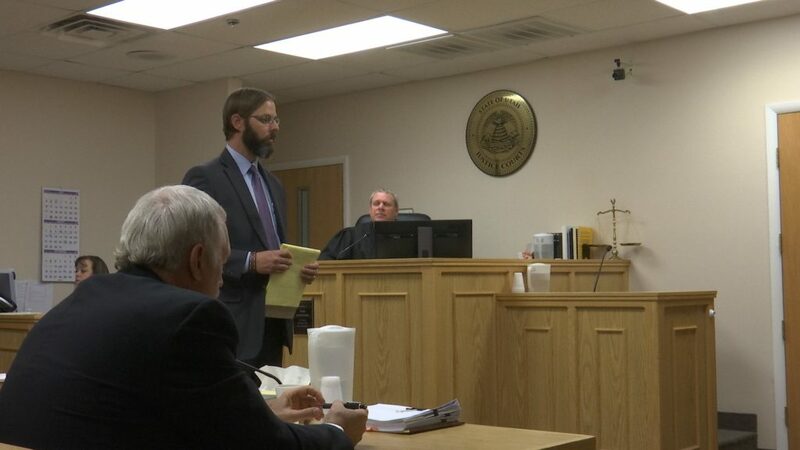 To be convicted, the prosecution must prove that Davenport committed an act with unlawful force or violence that caused bodily injury to another or created a substantial risk of bodily injury to another. More witnesses are scheduled to testify Thursday, including Utah Shakespearean Festival founder Fred Adams. Cosson declined to comment Wednesday. Ed. note: Updated to clarify role and presence of Utah Attorney General’s Office in court proceedings. I guess that’s mean to say, but her alleged “assault” just doesn’t seem legit at all. Bob, don’t be mean just because you were expecting an extra skinny blond with the Mormon look ( you know, they all have the same look) ? Bob – you need to find another hobby. I’m not privy to any information in this case, other than what i’ve read in the paper. I am waiting for the jury’s decision. You, Bob, on the other hand, have already made your judgement, based on the appearance of the accuser. My hope is that you find a hobby other than the comment section – May I suggest knitting. You know no shame in letting the world how biased you are. I’m sorry, I think he screwed up! This was only an entry level class, the student was still a juvenile, and I can see how she may have felt bullied by the instructor and other class members. Students take entry level classes for a myriad of reasons, one being to figure out her interests and talents. She obviously won’t be the next Katharine Hepburn, but that’s okay, this was an exploratory class. As the mother of a college graduate, I would find it highly inappropriate for my daughter to be touched in this manner by any of her teachers, let alone in an entry level class, and under 18 years old! change it to what…? LOL. Like i said i just pictured something totally different. This is probably the most attention this girl has got in her whole life. Maybe she enjoys the spotlight, who knows. Maybe she is a great actress after all. Seems to me the LDS aristocracy that runs DSU was actively searching for a way to get rid of this Deavenport guy, and this “assault” came along and they jumped all over it like rabid dogs. I wonder what they gave this woman to keep playing along. Any reasonable person likely would have accepted an apology and let it go, since no harm done. You know who screwed up? Dixie State and St. George! When an exercise is going on, it’s explained. Sorensen should have opted out. But it is not as if he “man handled her”. Played with her hair, shook her shoulders, yelled in her ear; all innocent things for a theater class. But then her feelings get hurt for being embarrassed or whatever, so let’s make the teacher pay. BS. Take your sensitive feelings back home to mommy and daddy. The world is way rougher than that. Exploratory class? Guess she learned she couldn’t make it as an actor…or anything else that could remotely be more difficult. Then DSU looks into the case, REALIZES how innocent it truly was, the investigation committee advises DSU to reinstate him BECAUSE HE’s A GREAT TEACHER, and the then City gets involved to bring him up on charges! Laughable. Now when the courts find him innocent after our tax dollars paid for this huge waste of time, he will sue for wrongful termination and win that too. Sorry kids, tuition just went up. DSU should have listened to the investigation panel and the other students/witnesses in the class that didn’t kick and scream and pout because their feelings got hurt in an emotional exercise class. I think it’s interesting to note that she had, according Peterson’s testimony, missed so many classes. Also of note is that Sorensen can’t remember the details of the day and yet Peterson can. Why is it the person willing to press charges to get a tenured professor fired can’t remember any details but a student who was in the class is able? Bob blames the Mormons for everything !